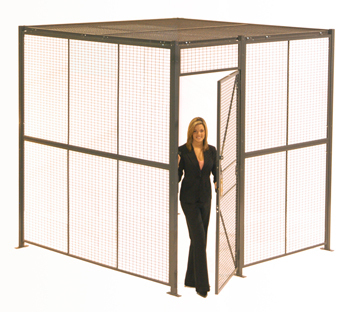 WireCrafters twenty stock Style 840 wire partition panels and stock posts allow you to design almost any wire partition system to meet your needs. Our partition panels come in one foot increments from 1' to 10' wide, and in heights of 4' and 5'. 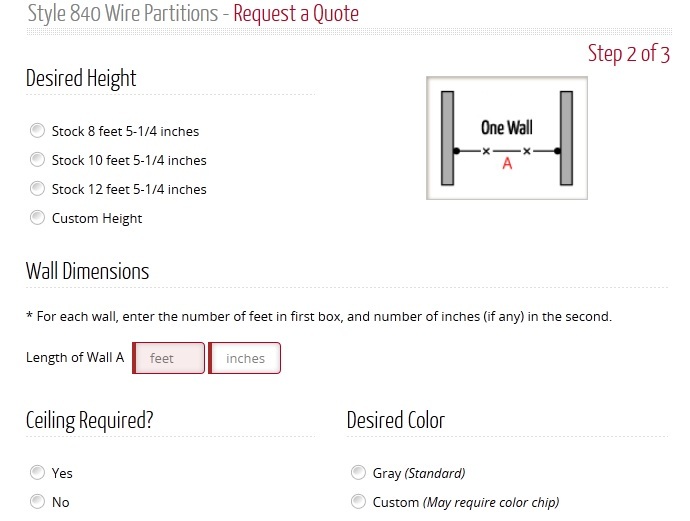 By stacking WireCrafters Style 840 wire partition panels one on top of the other, you can create a partition system of almost any height. For example, two 4' high panels stack to make an 8' high system. With WireCrafters building block approach, you can create long runs of partitions of over 30' in height; still utilizing stock panels. WireCrafters also supplies a sheet metal adjustable panel when an exact dimension is required. These same stock wire partition panels can also be used for ceiling panels. Tool cribs, maintenance cages, and secure inventory storage areas can have clear span ceilings up to 30' wide. Along with the wire partition panels and posts, we also offer a variety of door options. 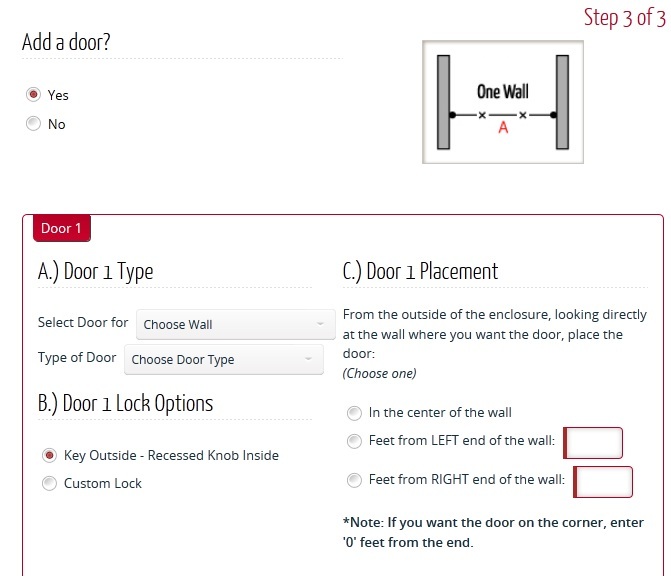 Slide to the side doors from 3' to 10' wide and hinge doors 3' and 4' wide are the most commonly used in applications.